Thank you for sponsoring a child in Honduras. Your gift has changed a . . . 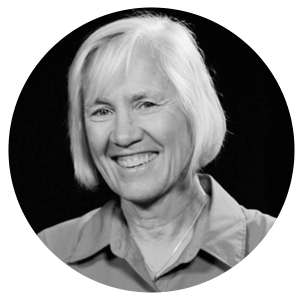 Thank you for sponsoring a child in Honduras. Your gift has changed a life forever. 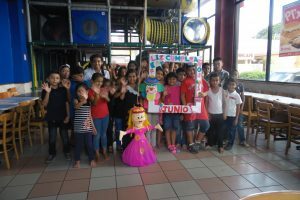 This year, children at the “Jesus, Friend of the Children” after-school program in Honduras anxiously awaited their birthdays so they could participate in a special celebration. 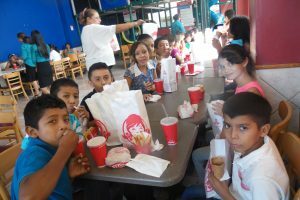 Each month, the birthday children and their friends traveled to a local fast-food restaurant, where they enjoyed hamburgers, ice cream, and a variety of games. One of the highlights for each child was taking a turn at whacking a piñata!